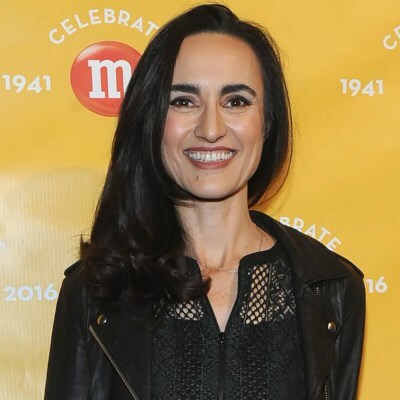 Berta De Pablos-Barbier, marketing VP for Mars Chocolate North America, dishes on how M&M's has continued to "stay cool" with consumers for decades. What are you doing around this year’s M&M’s 75th anniversary? We’re making sure this is not a one-time celebration; we want it to be full year. We’re ensuring we have something every month to celebrate different aspects of the brand. And we’re making sure we celebrate wherever a consumer comes in contact with the brand. At the point of purchase, social, on TV, or going to M&M’s World, [the consumer] is going to get the message about the 75th anniversary. We also gave a lot of thought to what we want to celebrate most and realized there’s so much richness in the story we are activating different reasons why the brand is loved, whether from its origin in the military, the evolution of the characters, or voting for M&M’s. Internally, we say we’re celebrating the past, present, and future of the brand. So you are running different campaigns each month? We started with the launch of our new song, "The Candy Man." We worked with Zedd and Aloe Blacc, who reinterpreted and contemporized Sammy Davis Junior's 1972 version of the song. We followed through with the Flavor Vote, allowing consumers to vote for a new peanut flavor that will join M&M’s Peanut products. 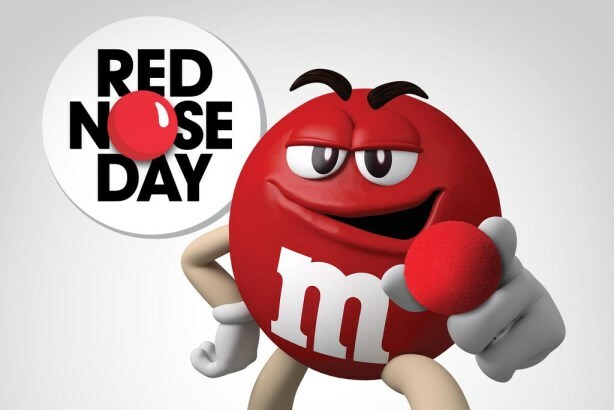 We continued in May with a campaign for Red Nose Day called Make M Laugh, asking consumers to send in videos to make us laugh. For every engagement from consumers, we [donate] $1 to Red Nose Day. Last year, we raised over $1.2 million. What changes to the brand’s marketing strategy have stood out to you? You cannot become static with a brand that has managed to [stay] relevant and be the number one chocolate brand in the world. It’s about dynamic evolution, making sure we remain authentic to what M&M’s is; connecting with consumers by living in the moment and being part of the culture; and making sure we’re always bringing something positive [to consumers]. M&M’s was one of the first brands to be on TV and have characters as spokespeople. M&M’s was also a leader in social media adoption in comparison to other Mars Chocolate brands. Only Snickers had a Facebook page around the same time as M&M’s, in 2008, and M&M’s was the first Mars Chocolate brand to activate on Twitter by over a year, also in 2008. We are constantly alert to what’s going on in the world and make sure we’re part of pop culture. We want to make sure the brand remains cool for our consumers. What response are you seeing from social media? In 2015, M&M’s Facebook page had a 7.29% engagement rate. Latest industry data states a 1.75% average engagement rate for CPG brands – making M&M’s four-times more engaging than the industry standard. On Twitter, we saw a 4.26% engagement rate and more than 411,000 engagements with our content in 2015. Our Instagram account ended the year with more than 219,000 engagements. Nielsen data shows chocolate consumption is down 1.9% in the U.S. Are you doing anything different to market to health-conscious consumers? In the bite-size segment, consumption is not down. Consumers are still consuming bite-size [candy] because it is portionable and they can decide how many they eat. And we have resealable packs so they can control how much they eat. How are you marketing to millennials? One of the biggest evolutions [in our marketing strategy] is looking at how millennials want to be talked to. There was a reason we launched our 75th anniversary campaign with "The Candy Man" song. Who is our audience? Millennials and Generation Z. What do they do? They listen to music. Where do they listen to music? iTunes and Spotify. After we launched the song, we put the music video on YouTube, and launched it on TV at the Grammys. We’re also working with social influencers millennials respect and want to laugh with, such as Emma Roberts. For that audience, authenticity is important. How do you decide when to respond in real time? What was the strategy during Chris Christie's M&M’s-gate? We respond when it makes sense. If we don’t respond, it’s because [we think] the consumer is not interested in what we have to say. Weber Shandwick supports social for M&M’s, looks at opportunities on a case-by-case basis, and decides whether or not to [respond]. [In the case of Chris Christie], this was not about the brand, it was about him. In responding to situations like this, we ask: would Red or Yellow have anything to say about that? Weber is PR AOR for Mars Chocolate, BBDO is AOR for advertising.